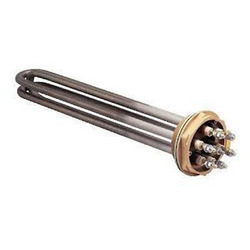 We are a leading Manufacturer of d type heaters, industrial heaters, ceramic heaters, cartridge heaters, bobin heaters and ceramic nozzle heaters from Nagpur, India. Backed by our highly skilled and experienced professionals we are engaged in offering D Type Heaters. Known for their performance & less maintenance, the heater offered by us is available in numerous specifications as per the need of customers. The offered heater is available in various quantities as per the requirements within the stipulated time frame. Leading manufacturers, suppliers and exporters of a precision engineered range of Industrial heaters, thermocouples, controllers and lab equipments. 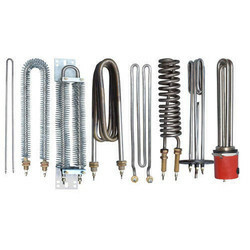 Air heaters are used to heat air with forced convection, radiant heat, or resistive heating elements.Strip Heaters are typically used in clamp-on installations and convection-style air heating.Oil Immersion Heaters The range of oil immersion heating elements offered by us is used for pure oil requirements. Finned strip heaters are perfect for air heating, air ovens, load banks, and still or moving air. We are ranked as the noteworthy manufacturer, trader and supplier of Cartridge Heaters. 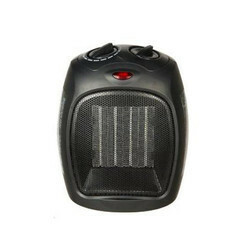 Used where heat is required in limited space, the offered heater is manufactured under the guidance of professionals using best quality material & leading techniques. The offered heater is checked by quality controller to make certain the defect-free range to customer’s end. Along with that, this heater is available also with built in thermocouple. Owing to the immense experience and a competent team of experts, we are able to offer Bobin Heaters that contains open helical coils made of high resistance wire; the offered heater is checked in terms of quality so as to deliver a flawless range. This heater is manufactured with superior quality metallic steel, stainless steel, titanium and progressive technology in adherence to the quality norms. We are actively engaged in manufacturing, trading and supplying a wide range of Ceramic Nozzle Heaters. This heater is manufactured with quality approved material with the help of the advance techniques. The offered heater is suitable for every type of plastics processing equipment. Along with that, our customers can avail this heater from us at reasonable prices. 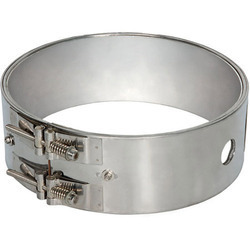 A comprehensive range of M ica & Ceramic Band Heaters offered by us are extensively used in various industries for proper contact heating on cylindrical surfaces. These heaters are manufactured using M.S., brass and S.S. sheathing as well as in puncture sheathing for air-cooled applications. We offer these heaters in custom specifications as per the requirements of our clients. These heaters are covered with insulated jacket to that helps in saving energy. With rich industry experience and knowledge, we are engaged in offering a superior quality range of Hot Runner Mould Heaters. These are configured as small diameter, high performance nozzle heaters that are fully annealed. 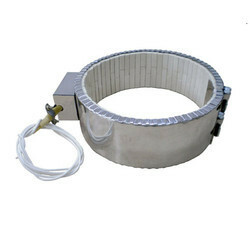 Moreover, these heaters are also used as cartridge heaters where irregular size bores are found. Supplying 360º of heat with optional distributed wattage, these are offered by us at industry leading prices. Finned Heaters offered come in quality construction finish and feature basic tubular elements & continuous spiral fins which make these provide for reliable functioning support. Further, the superior design of the fins support increasing surface area and permit faster heat transfer to air that result in lower surface element temperatures. Some of the derived benefits include enhanced heat transfer surface area; maximum sheath temperature of 455°C; provides for safe operations; finding suitable for applications like drying, heat treating, annealing, curing and others. 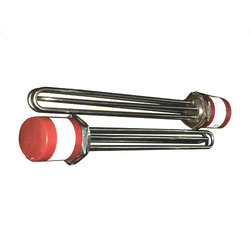 Our clients can avail from us a wide array of Immersion Heaters which is perfect for generating steam and heating the liquid & gases in pressure vessels and tanks. 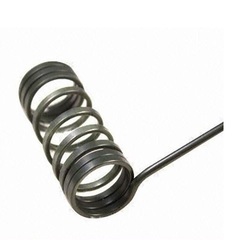 These flanged immersion heaters are basically hairpin-bent tubular elements which is welded or brazed into a flange. Further, these are supplied with electrical enclosures. These are offered in different sizes along with a variety of electrical accessories or enclosures. 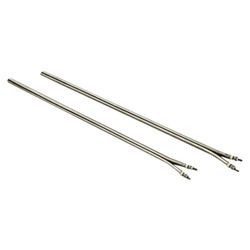 Tubular oil immersion heaters are used to heat a substance that can be heated by means of immersion. The heater is immersed in the substance and then heated. Flange and screw plug immersion heaters are equipped with pipe threads, flanges or similarly convenient mounting mechanisms. The immersion heater is constructed with rugged tubular elements that are formed for the use in tanks and vessels. It features a long life and all the elements in the heater have repressed end-loops, a feature contributing to the long heater life. Different watt densities are available for various heat intensities. 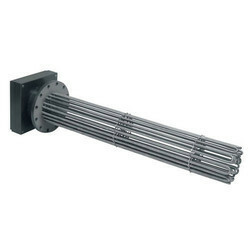 Tubular heaters are primarily designed for direct immersion in liquids, air and gases. The immersion in liquids includes water, oils, solvents and process solutions as well as some molten materials. These heaters are virtually cent percent energy efficient and generate heat within the liquid. The heaters can be shaped into various types and geometries for the purpose of radiant heating and contact surface heating applications. 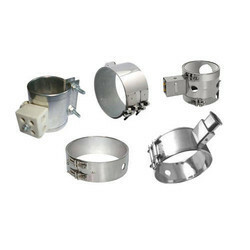 Our clients can avail from us a wide range of Mica Band Heaters, which comes with stainless steel cover and 1. 5 mm asbestos insulation. These heaters are covered with stainless steel sheets or C.R.C.A/brass for maximum durability. 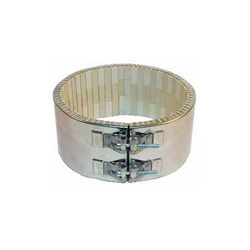 High quality nickel chromium resistance wires are used to manufacture the heating element (windings). We offer these heaters with different types of terminal options like screw terminals and flexible wire/ pin socket. Moreover, these heaters also come in one piece or two piece designs. We are the leading manufacturer and exporter of a wide range of Power Saving Ceramic Band Heaters. Manufactured using high grade raw material, these heaters can accept temperature up to 1400F. High performance, sturdiness and energy saving features make these heaters appreciable among the clients. We offer these products at market leading rates. 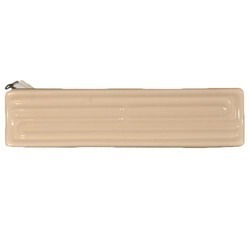 We are engaged in offering Portable Ceramic Heaters, which come in various terminal configurations. Manufactured using superior quality material, these heaters can withstand up to 1000°C. Moreover, our heaters are used in ext ruder molding, blowing molding and plastic injection molding machines. Titanium immersion heaters are same as tubular heaters that are manufactured out of high quality Titanium tube that are brazed to a C.I. junction box which rests on the wall of the tank. It has a remarkable high resistance to corrosion and is used in heating highly corrosive chemicals like cocktails, acids like nitric and chromic acids, etc. These heaters are advanced concept of thermal engineering, which are known for high performance. 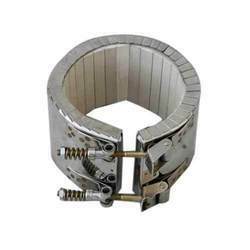 Coil Heaters are also known as cable heaters or tubular heaters. 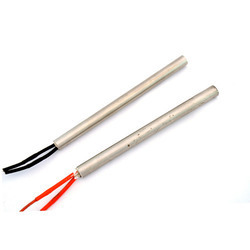 Moreover, with or without built in thermocouples, these heaters can constructed. 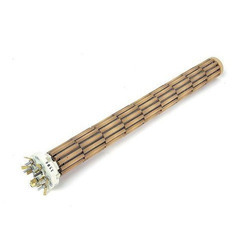 Our organization provides a wide range of Fully Sealed Coil Heaters, which is available with or without internal thermocouple. 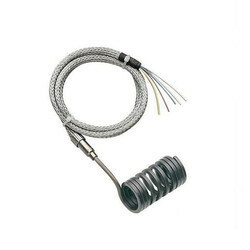 These thermocouples can be categorized into type J or type K. The fully sealed coil heater can accommodate the objective of minimizing material usage and placing nozzles closer to waterlines at the height of 2.5mm(.098”). Surface contact is maximized with a superior width of 3.4mm(.134”), which results in less required heated length and more watts per linear inch. For optimizing the performance of nozzle and other mating components, these heaters set the standard with respect to precise fit and profiling. High Density Cartridge Heaters are used for major requirement such as tool heating in Injection and Blow Moulding, Hot Runner Moulds, Shoe Machinery, Food Processing and Dies. 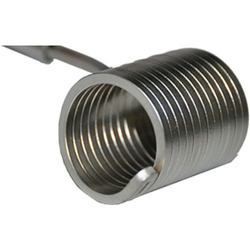 Tubular (sealed element) is a fine coil of Nickel chrome wire in an insulating binder (MgO, alumina powder), sealed inside a tube made of stainless steel or brass. These can be a straight rods (as in toaster ovens) or curved to fit in a smaller space (such as in electric stoves, ovens, and coffee makers). Tubular heaters during recent years are widely accepted as a mode of heating due to their flexibility with which these can be formed into any shapes and sizes depending on the applications. Due to their versatility, flexibility and relative insensitivity to mechanical damage, the tubular heaters have often provided ideal solution to difficult problems encountered in heating. Our range of tubular heaters are designed and manufactured with state-of-the-art technology which are very compact in construction, easy and economical in operation and consume less electricity. 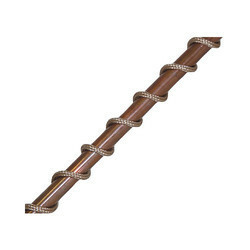 We offer tubular heaters that are practically hassle-free and maintenance free. heating cords are designed for use on small diameter tubes, vessels, or wherever space is limited. They can be wrapped around tubing as small as 3.2 mm (1/8") diameter. The double-braided fiberglass outer sheath ensures durability for laboratory, production, or maintenance applications. We are manufacturing Oil Immersion Heaters to our customers. 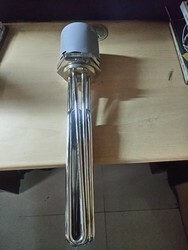 We are manufacturer of Tubular Heaters for our customers.